While there’s nothing quite like a great bottle of bourbon, a lot of us find it hard to pick the right pour for that special someone in our lives. But it can be hard, especially if your tastes aren’t the same. Truth be told, sometimes you’re better off letting the whiskey lover pick the whiskey. With that in mind we’ve helped hand select presents for every bourbon lover you know, available now in the Bourbon Outfitter gift shop. Take a look below for some clever ideas for that whiskey lover in your life. Oak & Bond Barrel Aged Coffee Beans. We know its hard to wake up for a long day at the office—and we know its even harder that most offices discourage bringing bourbon in to drink during the day. This bourbon barrel aged coffee will help keep morale high at work while keeping you out of trouble with HR. 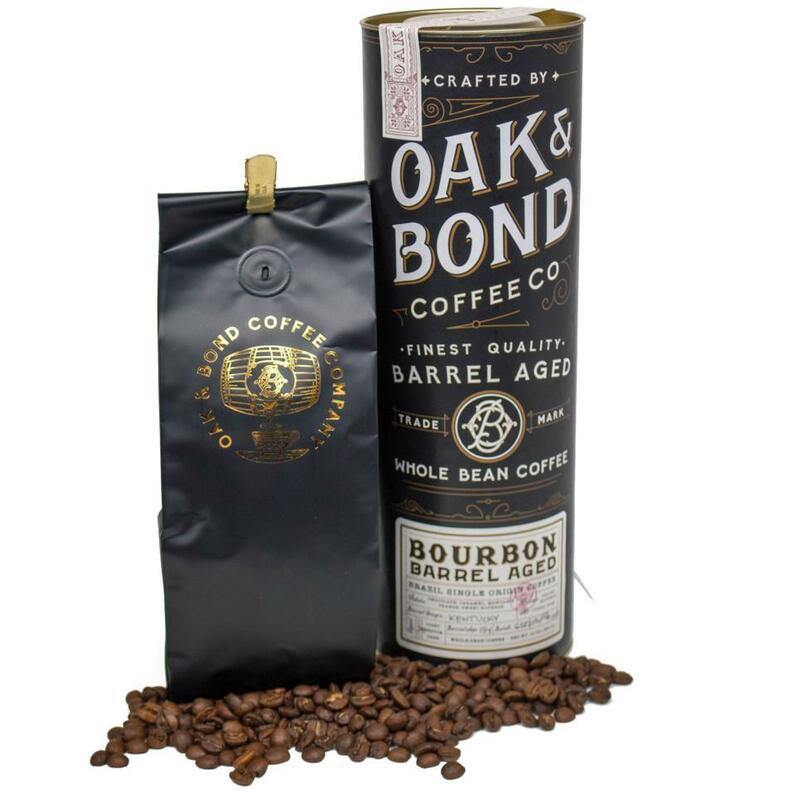 Oak & Bond Barrel Aged Whole Bean Coffee – $26. Bourbon Traveler Humidor Gift Set. For the big guy, you’ve gotta bring out the big guns. 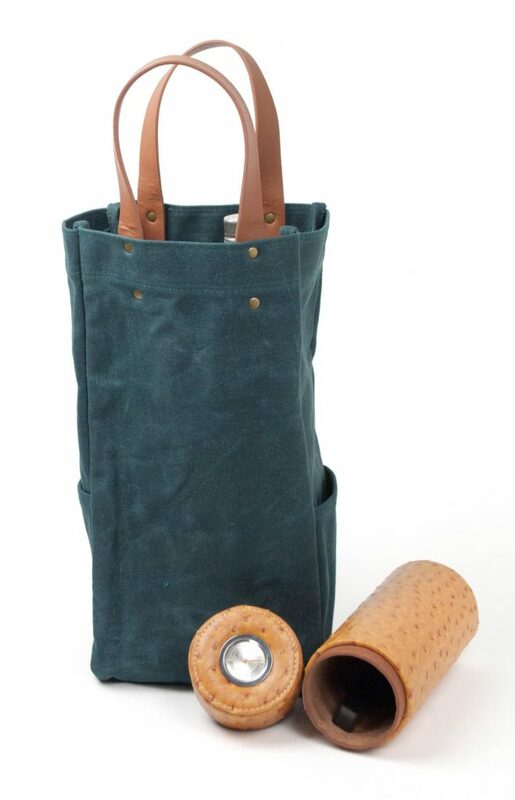 This waxed canvas travel bag has a divider to hold two great bottles of whiskey without clinking, or one great bottle of whiskey and our faux-ostrich leather humidor. Perfect for lovers of cigars, bourbon, or both! Bourbon Traveler Gift Set – $65. For a first home, there’s nothing better than a throw pillow to make things feel comfy and cozy. 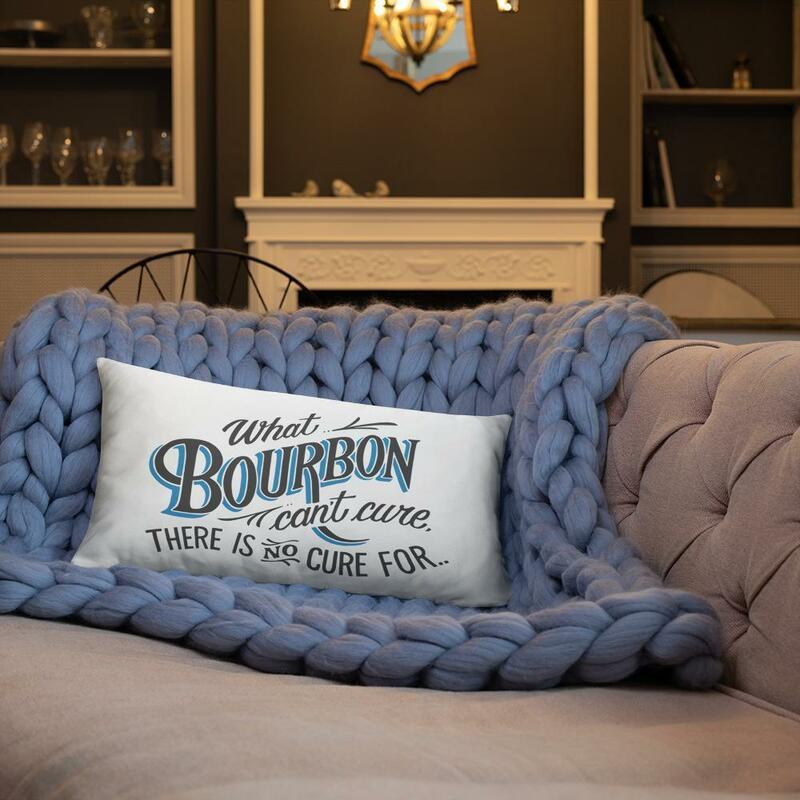 And this throw pillow has a snappy bourbon saying that rings a little too true. At the end of a long day, curl up on the couch with a blanket, this pillow, and a good glass of bourbon. There is No Cure Throw Pillow – $30. Watson’s Barrel Aged Maple Syrup. There’s nothing like waking up on Christmas morning surrounded by your loved ones, opening all the presents under the tree, then making a huge breakfast absolutely drenched in maple syrup. We like Watson’s so much that we partnered with them to pick single barrels for them to use. Choose one single barrel for just $35, or gift all three for $125. 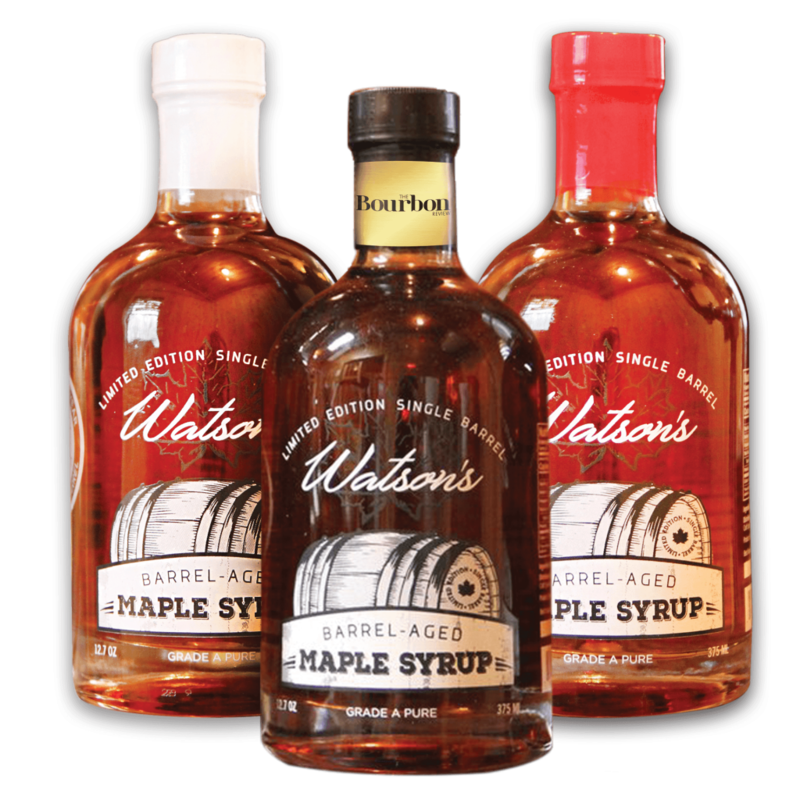 Watson’s Barrel Aged Maple Syrup, $35-125. 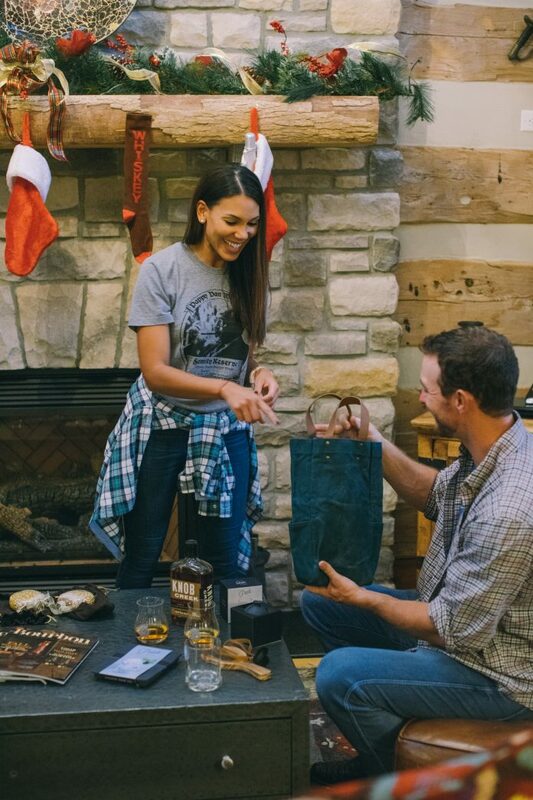 A lot of people will be disappointed with Santa and their local liquor stores when it comes time to open the presents thanks to the scarcity of Van Winkle bourbons, but there’s a way to show the effort anyway: our collection of tees, hats, and Glencairns from the Pappy & Co. brand. Show your love for the world’s most sought after bourbon – and let your friends hunt their own bottles. 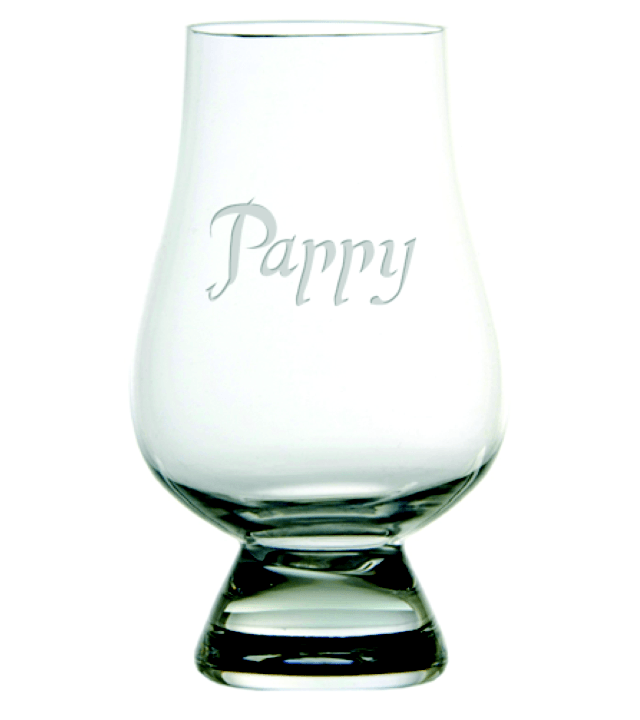 Pappy Glencairn Tasting Glass – $15. 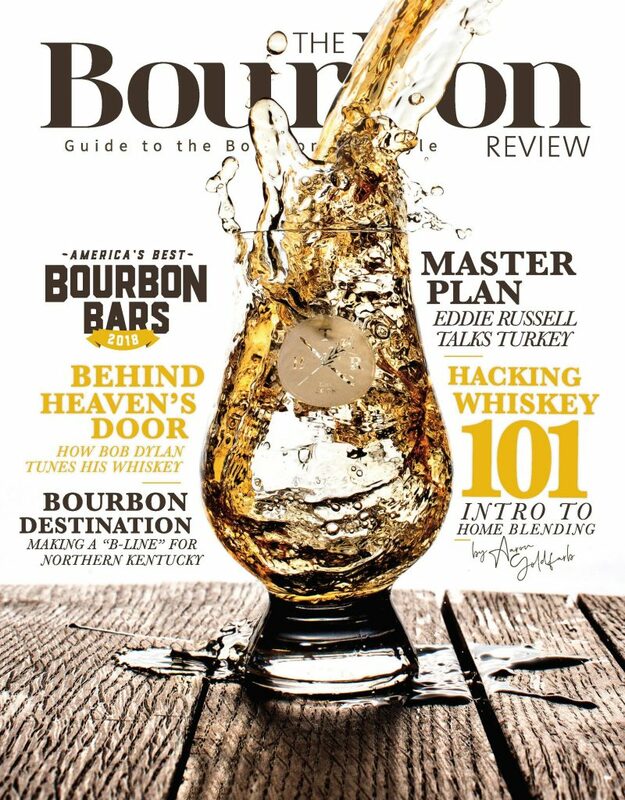 The Bourbon Review Magazine Summer 2018. It’s probably no surprise to you that we think no home bar or coffee table is really complete without a copy of the recent Bourbon Review. Every quarter, we cover the people, the art, and the events of the bourbon industry. You’ll find new releases, distiller profiles, and more, all delivered to your doorstep, phone, or tablet. 1 Year Print and Digital Subscription for $16.99. 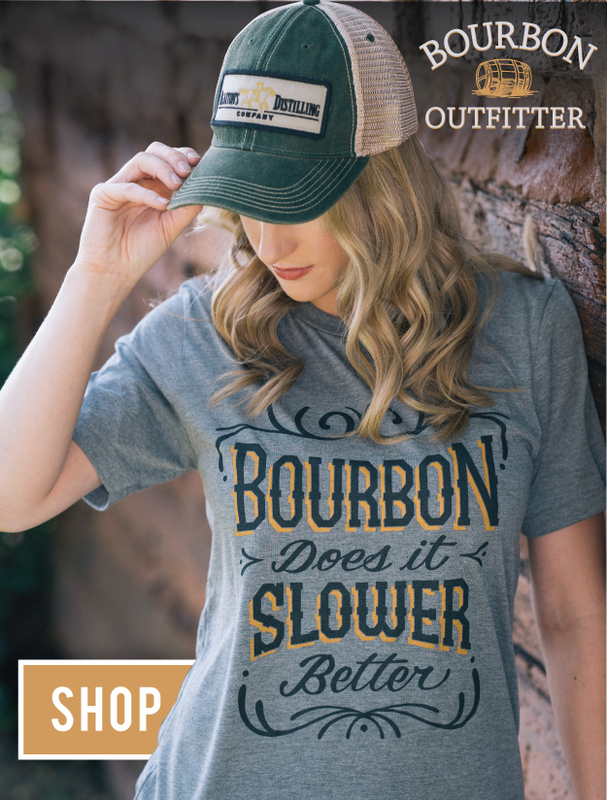 To see the full collection, head over to www.bourbonoutfitters.com.